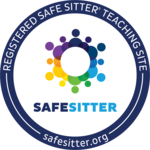 Safe Sitter® is designed to prepare students in grades 6-8 to be safe when they’re home alone, watching younger siblings, or babysitting. The Instructor-led class is filled with fun games and role-playing exercises. This course is for healthcare professionals who need to know how to perform CPR, as well as other lifesaving skills, in a wide variety of in-hospital and out-of-hospital settings and must have a credential (card) documenting successful completion of a CPR course.